Christiane Dowling Makeup Artistry covers Berkshire, Surrey, Hampshire & London, but is also available to travel nationally and internationally for Destination Weddings. Weddings – It’s not unusual for us to receive enquiries for up to 2 or even 3 years ahead, but we tend to open our diary around Springtime for bookings the following year. As we would usually only accommodate one wedding on a particular date, the earlier you can book the better. Although Friday to Sunday is the busiest time of the week for weddings, weekdays are now also extremely popular. Most brides book around a year in advance. We love weddings and are always happy to hear from brides-to-be, so please do message us at any time with your enquiry. More useful information for visitors to Ascot Racecourse can be found on their website at the links below. Prom Season – Whilst we would love to accommodate all of the requests that we receive, unfortunately it’s just not possible and every year we have to decline far more bookings than we take. The majority of proms will take place over the same 2/3 week period in June and early July and everyone wants the same key appointment times. It is an exceptionally busy time of year. Schools generally release their end of year Prom dates in the Autumn term. It’s highly advisable to book your Prom Makeup appointment as soon as you know the date to have the most choice and secure your preferred time. Due to the high volume of requests that we receive, Prom bookings are all generally held at our Studio. Prom trials can make a welcomed break from the pressure of revision if booked in advance for the Half-Term break or Easter Holidays. Prom Makeup trials are held at our Studio in Sandhurst, Monday to Friday. Halloween – Like Prom Season, Halloween is incredibly busy and we can never come even close to fulfilling all of the appointment requests that we receive. Key dates for Halloween in addition to the day itself, are primarily the Friday & Saturday before and the Friday & Saturday after. Remember Special Effects (SFX) and Body Paint appointments take additional time, so availability may be less. Book in plenty of time. Christmas/ New Year – The season when week days become as busy as weekends! If you have a work Christmas Party or a special celebration to attend in December, then book your Special Occasion Makeup as soon as possible. Bookings requests come in earnest from around September each year, but there are always several appointments already in the diary before this time. I’m getting married. When should I book my wedding trial? Trials are arranged at the bride’s convenience, but we recommend that the ideal time is 2-3 months before your wedding. Bridal Makeup trials are held at our Studio in Sandhurst, Monday to Friday. It’s advisable to book your trial date as soon as you can so that we can offer you as much flexibility as possible. It’s not unusual that at peak times of year our diary can be booked out several weeks in advance. Further information and trial advice will be contained in your Booking Confirmation. Christiane Dowling Makeup Artistry uses an extensive range of high-end makeup products, to ensure a flawless finish and makeup that lasts. As a Beauty Blogger, Christiane is constantly researching the market to keep abreast of new releases and trending products and selects only the very best from both the UK and abroad. We are not affiliated to any one makeup company. Typical brands include MAC, Charlotte Tilbury, Stila, NARS, Huda Beauty, Natasha Denona, Pat McGrath, Giorgio Armani, Bobbi Brown, Anastasia Beverly Hills, Laura Mercier and Chanel, but the list is not exhaustive. You might not have heard of some of the names but rest assured that they are among the best that the market has to offer. Are Sensitivity Tests required for Strip Lashes? Yes, a sensitivity patch test for the lash glue will be required in advance of your appointment if you would like Strip Lashes. Our clients’ health and safety is incredibly important to us. Sensitivity tests are imperative to minimise the risk of possible irritation or reaction. If attending in advance is not possible for any reason, for instance you live abroad or are not local and are travelling to the area for a special event, please let us know and we will advise you accordingly. Should my hair or makeup be done first? Ideally your hair should be styled first as water/sprays/heated appliances can affect the finished makeup. Remember to wear a top with a front opening so that you don’t need to pull it over your freshly styled hair and makeup before changing in to your special occasion clothes. No problem at all. Your foundation colour will be matched to your skin colour and tone on the day. We would highly recommend having a spray tan trial in advance of your wedding or special occasion because everyone’s skin is different and not every brand agrees with every skin tone. Ensure that you are happy with the shade of your tan in a natural light and when wearing a similar colour to your outfit on the day. If you are thinking of having a tan we would recommend having a spray tan trial approximately 48 hours before your makeup trial. It will give you a far more accurate idea of how the tan works with the overall look that you’d like to achieve on the day. Payment can be made by BACS – Payment Schemes Limited (BACS), previously known as Bankers’ Automated Clearing Services, CHAPS – Clearing House Automated Payment System (CHAPS), Paypal or Cash. Full details will given in your Booking Confirmation. Unfortunately, cheques are not accepted. International Clients – For international payments, please be aware that the overseas bank sending the payment may use an agent bank to pass the payment on to us. The agent bank may make a charge for their service, which will be deducted from the payment sent. Please ensure that you nominate to pay both your own bank charge and all agent bank charges, so that the correct amount is remitted to us. To ensure a seamless transfer we will advise the following information in your Booking Confirmation which should be quoted in your international payment. • Our IBAN (International Bank Account Number) or account number. • Our BIC (Business Identifier Code) / SWIFT code / Clearing code. Do you have a Minimum Booking Value for Weddings? We have a minimum booking value of £260 during peak season and very busy periods. Please do enquire though and we will confirm whether this applies to your date. If your venue is very local or if we happen to have a date become available at late notice due to unforeseen circumstances, then we may be able to waive the minimum value. Yes, Gift Vouchers are available for all services and make the perfect gift. They are especially popular for Valentine’s Day, Mother’s Day, Birthdays and Christmas. Vouchers can be ordered online or for collection at The Studio. Gift Vouchers are valid for 6 months from the date of issue and must be fully redeemed at the time of the appointment. Unfortunately Gift Vouchers are strictly non transferrable. Unfortunately Booking Deposits are non-refundable and non-transferable. The Booking Deposit is our commitment that a date has been reserved for you and that any subsequent requests for an appointment at the same time will be declined. It is also your confirmation to us that you are committed to the booking. Where a deposit is requested, cleared funds are required within 24 hours of the booking to guarantee the date or the appointment will be released. Please note that due to the number of enquiries received we can not hold appointments until the deposit is received. 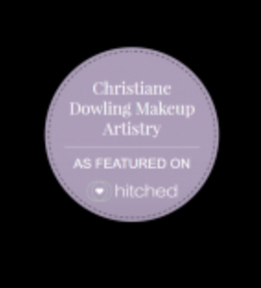 Where can I find more information regarding industry awards, reviews & testimonials for Christiane Dowling Makeup Artistry? In addition to the testimonials and awards that you will find here on our website, more information, reviews and ratings can be found on our Facebook page, Google and several independent and Bridal review sites across the internet. Just Google “Christiane Dowling Makeup Artistry” or Makeup Artists in “Berkshire, Hampshire or Surrey” and you’ll find us listed. Where can I find more examples of Christiane Dowling Makeup Artistry’s work? In addition to our website gallery you can find more examples of our work on our Facebook page and on Instagram. LBGTQ Equality & Equality Weddings. Christiane Dowling Makeup Artistry is Gender Inclusive and embraces diversity and individual uniqueness. 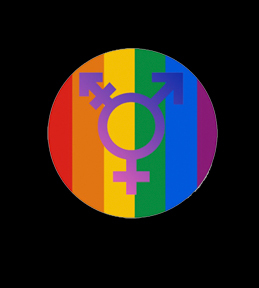 Christiane is proud to be a Founding Member of LBGTQ Equality Weddings. All services including Weddings, Special Occasion Makeup and Makeup Lessons are open to everyone. Love is love. Equality for all. Non-traditional and gender-neutral wedding roles are welcome and celebrated here. Who else does Christiane Dowling Makeup Artistry work with? 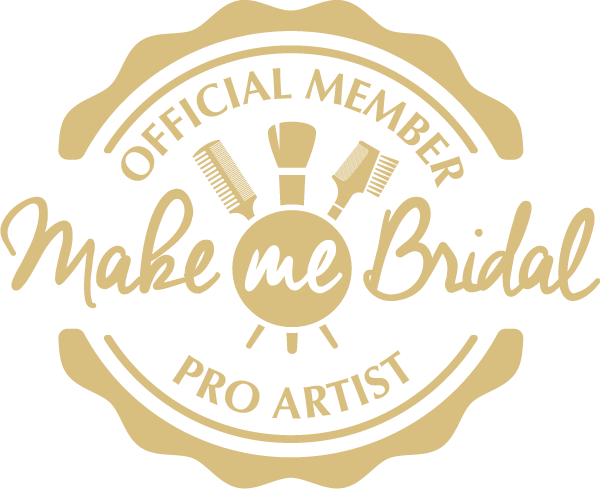 Christiane Dowling Makeup Artistry is honoured to have worked or collaborated with some exceptional industry professionals, editorially, as affiliated partners or as recommended suppliers. There are always lots of exciting collaborations in the pipeline. If you would like our personal recommendations please ask. Christiane trained classically at the prestigious and world-renowned leading Makeup School – The Glauca Rossi School of Fashion & Photographic Make Up in London. Previous Alumni include a stream of Celebrity Makeup Artists whose work regularly grace the pages of the most influential Fashion and Beauty editorials in the world including Vogue, Harpers & Queen and Style Magazine. Charlotte Tilbury, Florrie White, Mary Wiles & Elizabeth Hsieh are just a few of the Celebrity Makeup Artists who trained under Glauca Rossi. 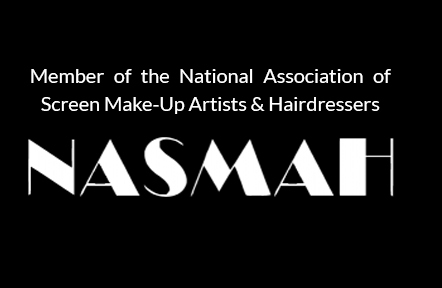 Christiane is also a graduate of the highly acclaimed and internationally accredited London Makeup School. Skilled over many genres of makeup artistry including Asian Bridal, Special Effects (SFX), Male Makeup & Drag, she also regularly attends masterclasses and events as an invitee of some of the top makeup brands to keep abreast of new products and initiatives. Keen to channel creativity in to her work, especially for Festivals & Halloween, Christiane trained under the incredible Samantha Helen, a globally acclaimed body painter and head artist at The Gypsy Shrine. Christiane is extremely honoured to have also personally had her own work featured by The Gypsy Shrine. Of course. Christiane Dowling Makeup Artistry is fully insured. A copy of our Public Liability Insurance can be provided on request, should you or your venue require it. 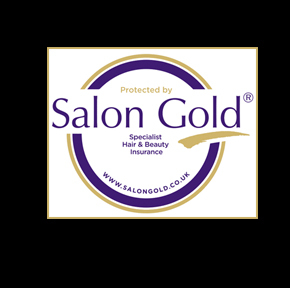 All reputable suppliers hold valid Public Liability Insurance and for your own protection we would strongly advise against using anyone who doesn’t. Words of advice – Wedding Insurance & Trusted Suppliers. Weddings and civil partnerships can be extremely expensive, often take years of planning and always involve a huge emotional investment. 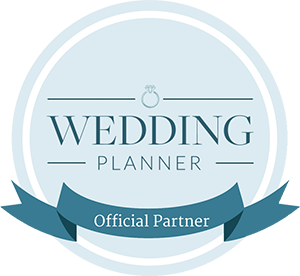 Choosing only trusted suppliers and reliable companies who won’t let you down will lessen the risk of anything ruining your special day. Unfortunately, it’s a sad but true fact that Christiane Dowling Makeup Artistry receives several requests each year from clients and brides-to-be who have been let down for their special occasion or wedding at short notice by their Makeup Artist. Whilst we will always step in to help whenever we can, it’s not always possible. Time spent researching now will be well worth it in the long run. Get personal recommendations from family and friends and read reviews and testimonials on the internet. Are they a fully qualified professional who is reliable & fully committed to their business? Do they have a proper website and/or established and active social media accounts? Do you have a proper contract? Are they insured? For wedding bookings, Christiane Dowling Makeup Artistry strongly recommends that a Wedding Insurance Cover is taken out with a reputable insurance company to protect you against any unforeseen circumstances that could arise with any of your wedding suppliers, your venue, your close wedding party or indeed yourself. A broker who is a member of the British Insurance Brokers’ Association will be able to advise you on the most suitable product to suit your specific requirements.